FRENCH THEATRICAL RELEASE ON JULY 16 ! Some GREAT news out of France! 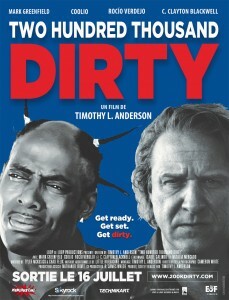 Together with our French distribution partner Mangoustine, we’re excited to say that Two Hundred Thousand Dirty will officially open July 16th in select French cinemas! It’ll be Paris first, then elsewhere in France as the release widens. It’s been long and hard work and belief, but congratulations to everybody we can’t wait to bring it on home to the USA soon! Check out the official French poster below !